Club Cafe(56 s 12th st) is one of the best small venues in Pittsburgh for comedy and music. Intimate, dark and professional. Club Cafe is owned and operated by BBF partners Opus One Productions. Arcade Comedy Theater(943 Liberty Ave): located in downtown Pittsburgh, Arcade is one of the best things to happen to the Pittsburgh comedy scene. Arcade is a non-profit comedian owned and operated black box theater housing improv and stand up. A true gem. Burning Bridges Comedy Club(4208 Butler st) is home of independent stand up comedy in Pittsburgh and it gets its name sake from the festival itself. Located inside Hambone’s Pub, Hambone’s is the official home of the Burning Bridges Fest. Bella Notte(1914 Penn ave) is a home to one of Pittsburgh best bar shows. 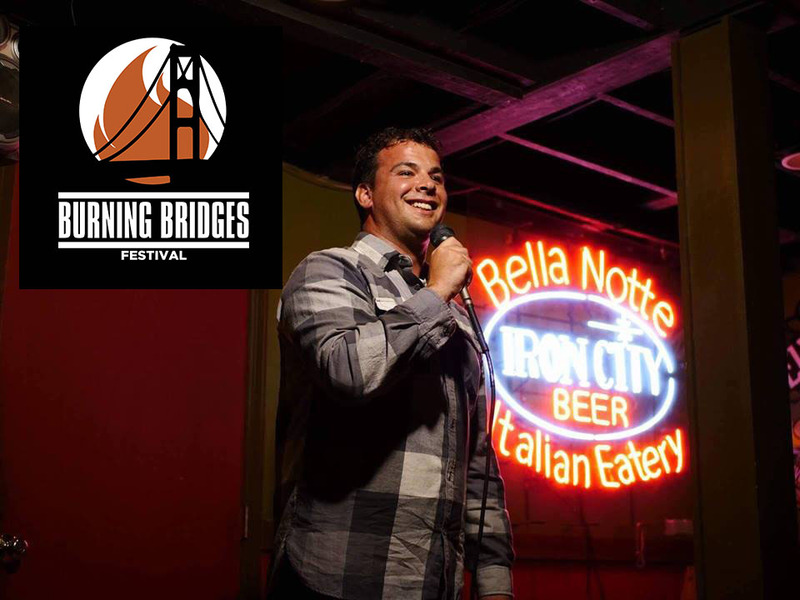 We Got Next Comedy has been running this show with a great deal of success for a few years now and we’re so happy to have this show on Burning Bridges.